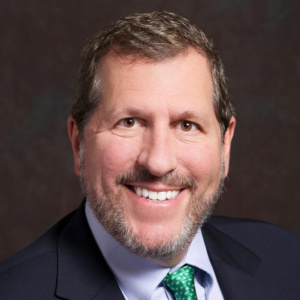 In messages below, Arthur Slepian, Executive Director, and Bruce Maxwell, Board Chair, share the exciting changes set to unfold at A Wider Bridge. We are writing today with some exciting news about the future of A Wider Bridge. I founded A Wider Bridge more than seven years ago, and it has been my privilege to serve as its Executive Director and President ever since. Today, Bruce Maxwell (our Board Chair) and I are announcing that effective January 15, 2018, I will be stepping down as Executive Director and will be succeeded in that role by Tye Gregory, our current Deputy Director. This change is coming at the right time for me. I look forward to a less arduous travel schedule, not being immersed in the day-to-day operations of the organization, and more time to pursue other interests. At the same time, I will continue to stay actively involved with the work of A Wider Bridge in the lay leader roles of President and Board Member. More importantly, this change is coming at the right time for the organization. By January of 2018, I will have had eight years to put my personal stamp on the work of A Wider Bridge. I am so proud of what we have built, and now, the organization is ready for new leadership. We are fortunate to have Tye Gregory ready to take the helm, not simply to follow in my footsteps, but to bring his own vision and passion to the work of the organization. I look forward to seeing the organization thrive and prosper under his leadership. My work with A Wider Bridge has been the most fulfilling chapter of my life. 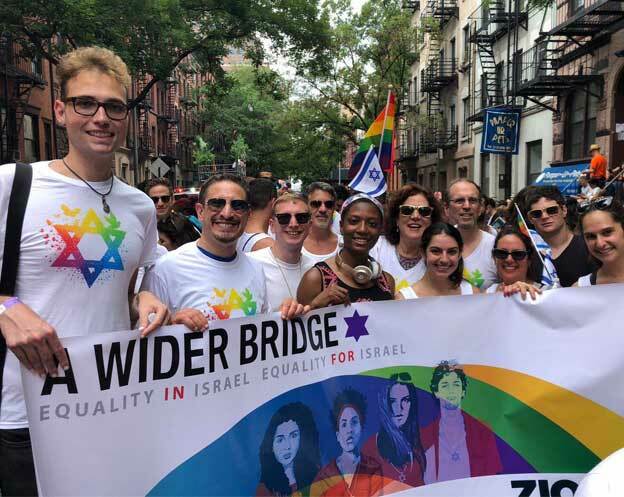 I am proud of how many people we have reached with our message of inclusion, diversity and equality, of all the ways in which our work has strengthened Israel’s LGBTQ community, and of the ways in which we have enabled our communities here in the U.S. to engage with Israel in meaningful and positive ways. I am sure all this work will endure and grow in the coming years. This work has also enriched my life with a growing circle of friends, here in my home community of San Francisco, in cities across the U.S., and in Israel. I have been blessed to get to know and care about so many remarkable people, and I trust that these friendships will endure as well. Our tradition teaches us to “Lech l’cha,” to leave our comfort zone and journey forward to find our purpose in life. Founding A Wider Bridge has been such a journey for me. This note is not a good-bye. The journey continues, but on a new path. I look forward to seeing many of you along the way. Today’s leadership transition announcement is truly a momentous one for A Wider Bridge. On behalf of our entire Board, I want to say first, how grateful we are to Arthur for having had the vision and courage to create the organization, and for the skill and passion with which he has shepherded its growth over the past seven years. His work has enriched the lives of so many of us, Jews and non-Jews, LGBT or straight, both here in North America and in Israel. Second, our Board is excited about the future and enormously confident in the leadership that Tye Gregory will bring to the organization in this new role. Since joining the staff of A Wider Bridge in 2014, Tye has made immense contributions to the growth of the organization, both strategically and operationally. And he has demonstrated both the leadership skills and character that we think make him the ideal choice to lead the organization into the future. Third, I want to acknowledge that leadership transitions are a pivotal moment in an organizations life, and especially so when it is the founder who is stepping aside. (And I say “stepping aside” rather than “stepping down” because we know that the organization will continue to benefit from Arthur’s knowledge and experience as he continues on as a Board Member and President.) That A Wider Bridge has reached this moment where we can make this transition with great confidence in our future is a testament not only to Arthur and Tye, but to our entire staff and Board, and all the donors, volunteers and stakeholders who are committed to sustaining the organization into the future. This is important work, and we are excited about moving it forward together, with all of your help and support. 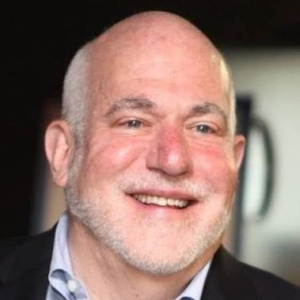 Please join with me in congratulating Arthur Slepian on establishing and building A Wider Bridge to the successful organization that it has become today, and to congratulate Tye Gregory as he prepares to take the reins as A Wider Bridge’s Executive Director next January.